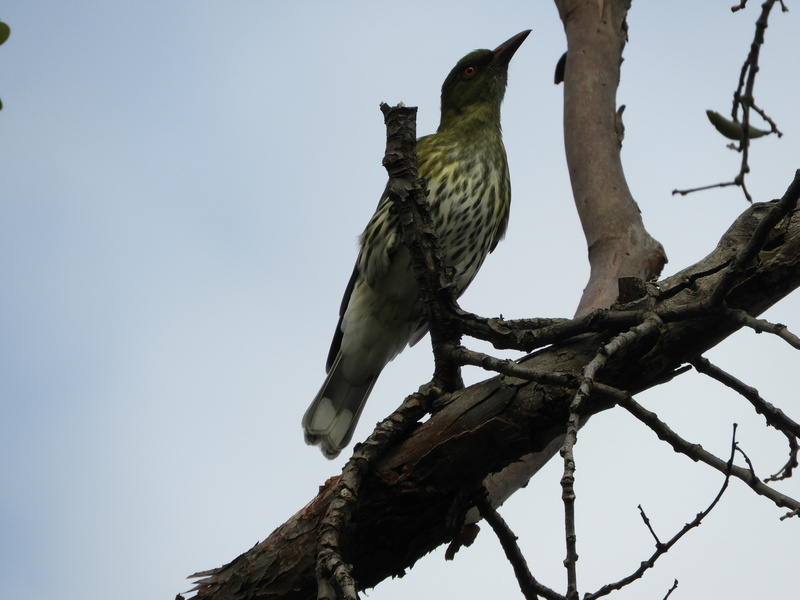 It was the unusual chirruping that made me look up into the trees and see this Olive-backed Oriole. 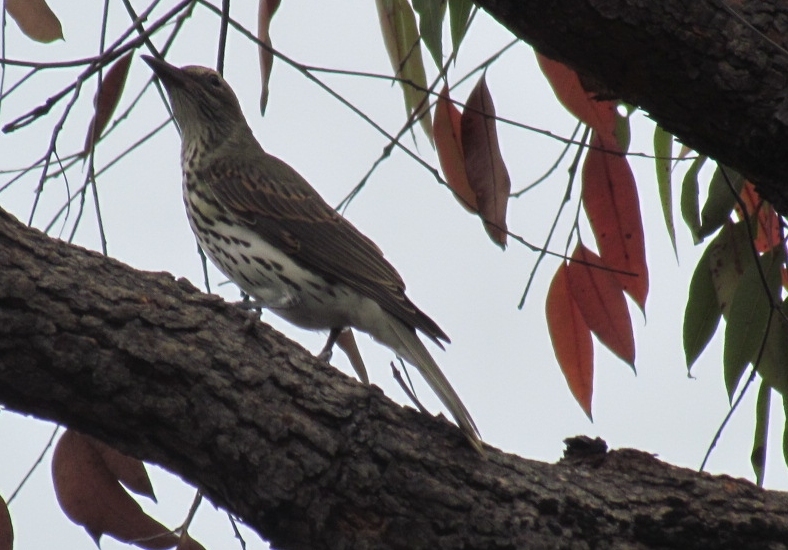 At first I thought it was a Wattle Bird, but the sound it made was unusual. So I snapped a few shots and took them home to examine them on the big screen. 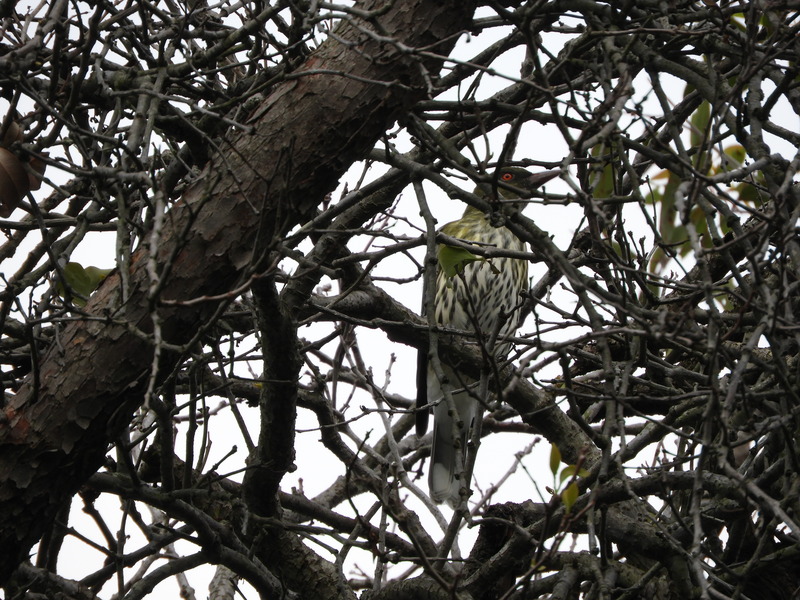 This is the first view I had of the bird. 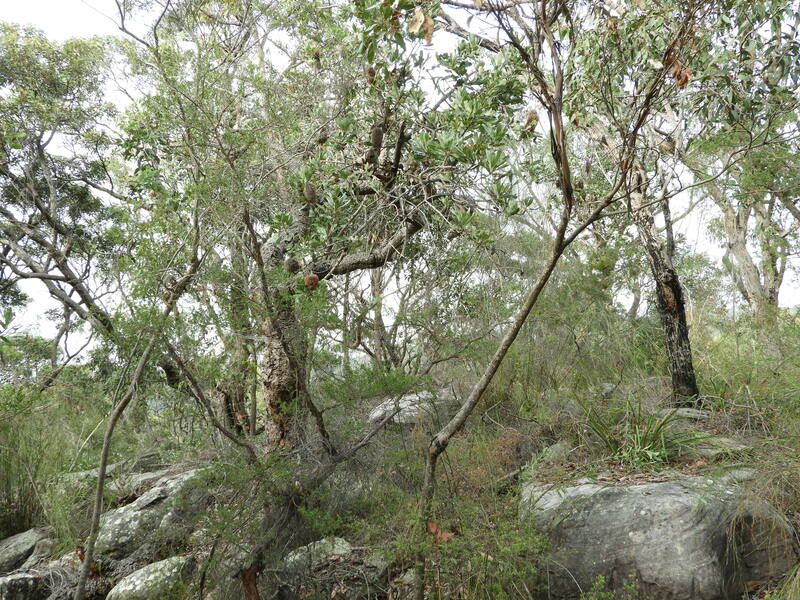 Very well camouflaged! 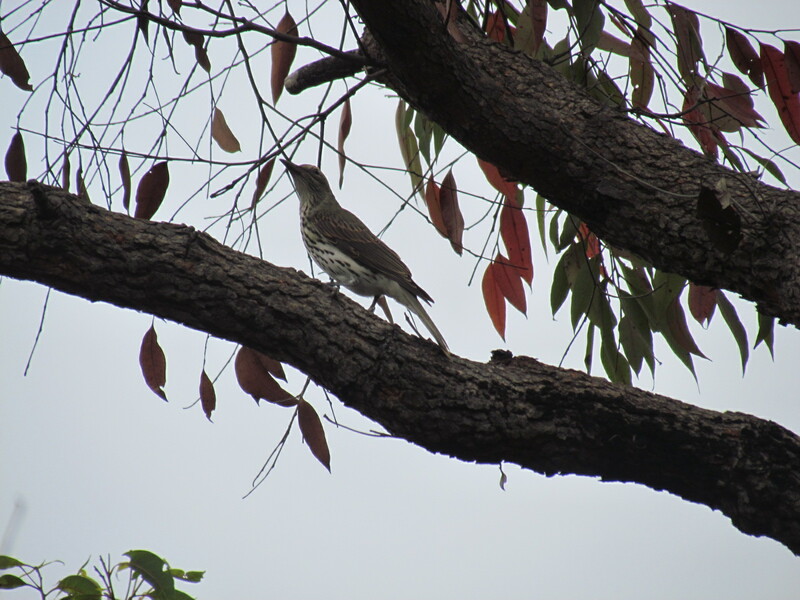 Here the bird looks with gimlet eye at a termite nest (out of shot above its head) no doubt hoping for some food to wander by.